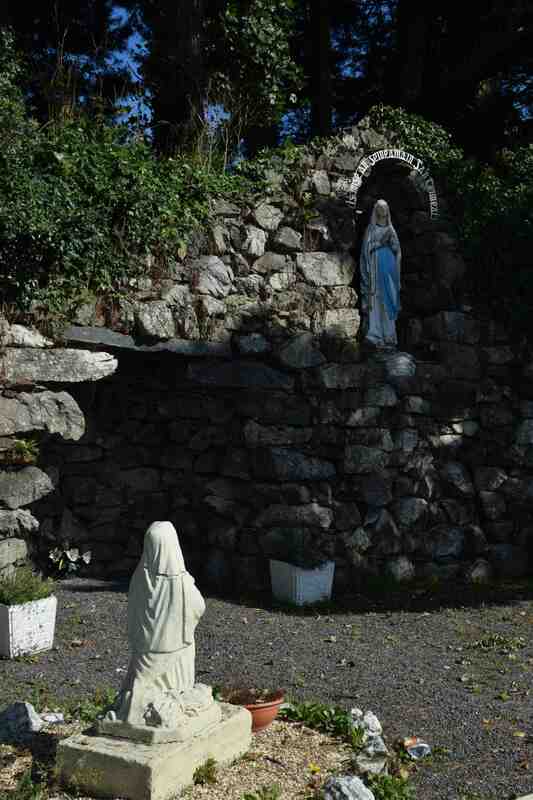 One of the things that first struck me when I arrived in Ireland was the grottos or shrines. These are dotted all over the place and usually feature a statue of the Virgin Mary. 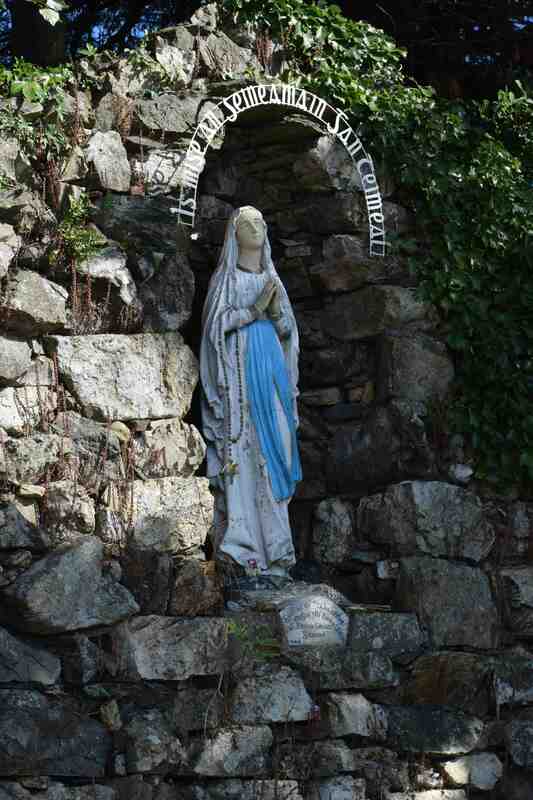 I assume that a grotto is when the statue is placed in a stone alcove and I think that if the Virgin Mary is featured it is a ‘Marian’ shrine. Some are apparently placed near holy wells but not all. I may be wrong but I think that most of the thousands that are scattered all over the country were built in 1954 when the Vatican declared it Marian year. Anyway, I will feature a few in the coming months but this one is beside the road in Gorey, Co Wexford. 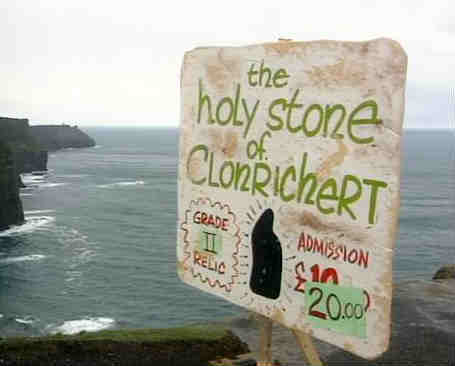 * The Holy stone of Clonrichert is fictional. Well it is to everyone except us Father Ted fans. And the Cliffs of Moher in the distance are real and have been the subject of a previous post.